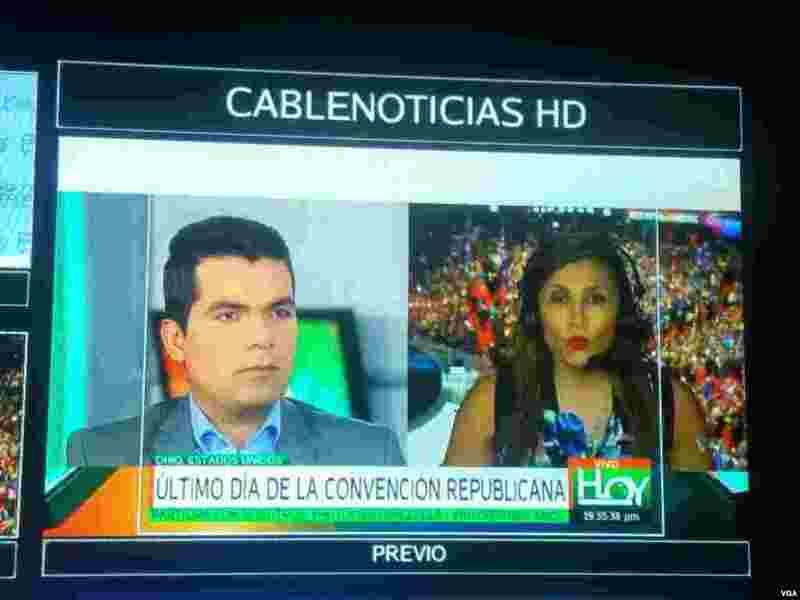 5 VOA Spanish reporter Celia Mendoza reporting from the RNC to affiliate station, Cablenoticias. 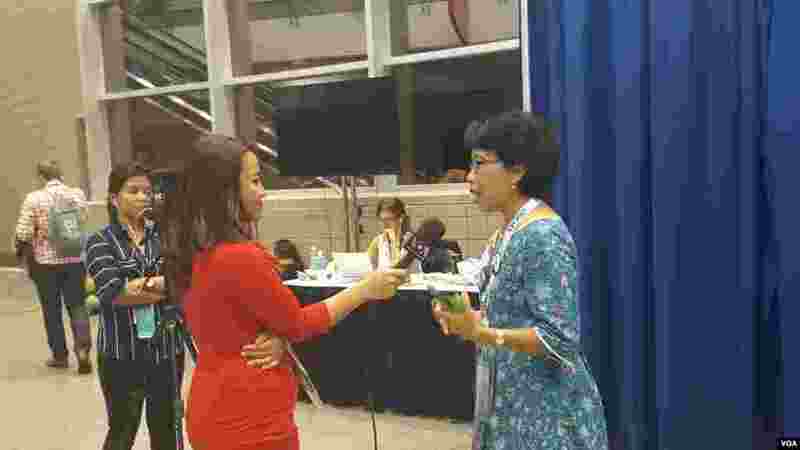 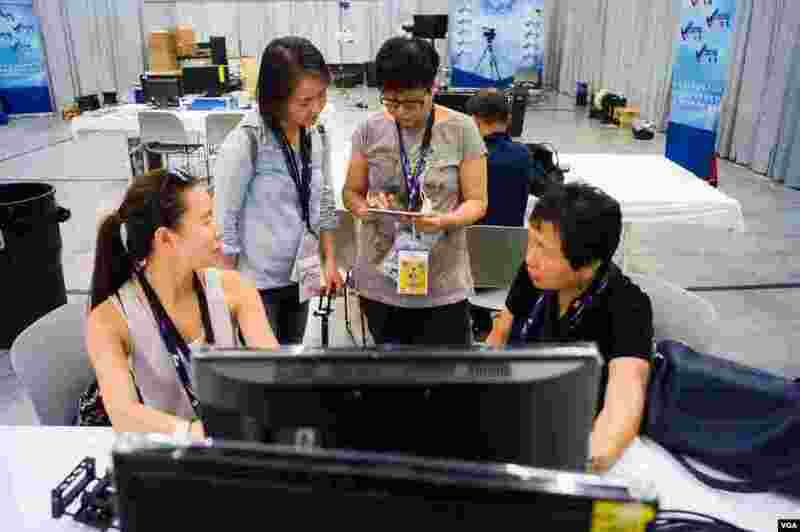 6 VOA Mandarin staff working hard at the RNC. 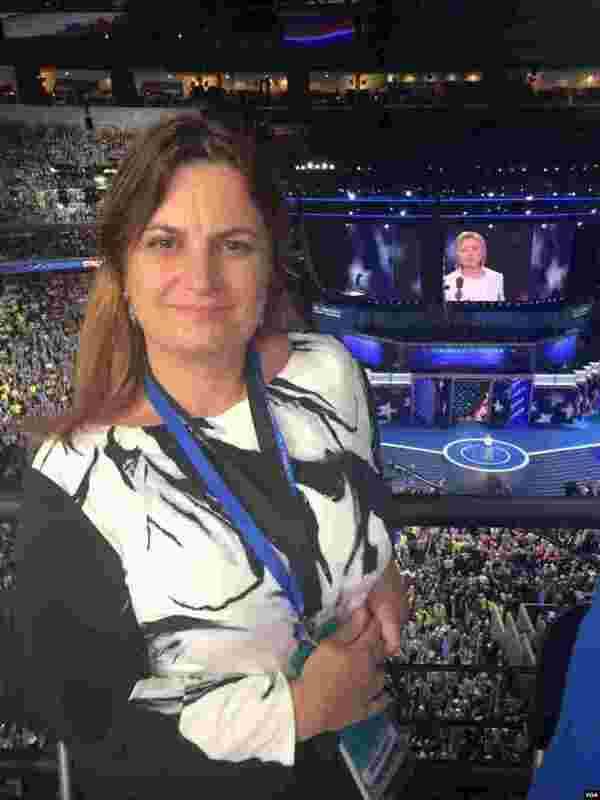 8 VOA Albanian's Keida Kostreci as Hillary Clinton speaks on the stage at the DNC.